Although your baby is not yet born or maybe you are due around Christmas you can still prepare a happy expecting baby Christmas stocking. It will be fun to do and you will get a feeling of being closer to the baby, just as if it was already born. And you can’t wait for it to happen right? So I have some great stocking stuffer ideas for the expecting baby and you can check them out below. If you know the baby gender you can throw in some gender related items, choose the right color, pink or blue, and maybe put in some personalized things with the baby’s name on them. First of all you need to have the stocking. If you are a crafty person you can sew one yourself. I always prefer manually created things as they carry more warmth and emotions in them but a bought stocking will do just fine. So here are a few expecting baby Christmas stocking ideas and items that you can put in your little one’s Christmas sock :). A perfect Christmas stocking filler for the unborn baby! It is practical and cute looking. Like a nice gift waiting for the baby and ready to be used when it arrives. This pacifier is size 1 so it is perfect for newborns 0-6 months old, which is exactly what you need for this occasion. Please note the toy is not removable in case you are wondering. I chose a reindeer toy because it matches the Christmas season but there are all kinds of toys you can choose from. Check the choices here. At first I thought it is a tiny toy but no, it is quite a big toy so the baby can hug it, squeeze and play with it. It will be a great mood soother both the pacifier and the toy combined. I bet it will be the baby’s favorite pacifier! Is It Too Early For A Baby’s First Christmas Ornament? Can you say for an expecting baby that it is celebrating its very first Christmas? I think yes – its life has already begun since the moment of conception. So depending on your wishes you may consider getting a baby’s first Christmas ornament and I have gathered the most awesome collection right here. Every child needs a teddy bear toy. It is simply one of those must-have childhood items. 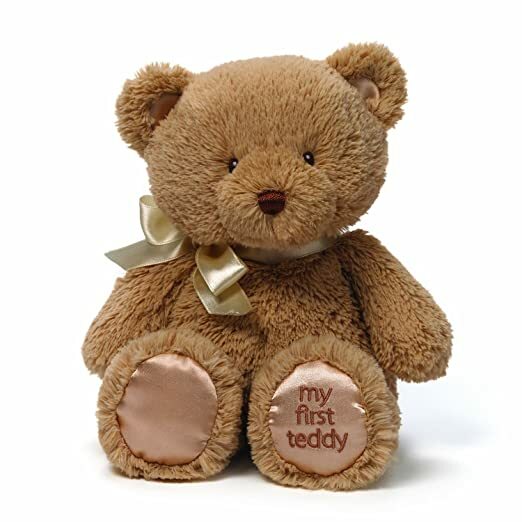 And it is not without a reason that teddy bear toys are among the most popular and most loved toys. I chose this cutie above as it is just enough soft and plush and cute looking. The colour is also great, suitable for baby boy or baby girl. I also love the silky touch on the paws and the bow. What I would do with this toy is maybe place it beside the baby’s crib as a super decoration for the baby’s room. And when the baby arrives it can be beside it in the crib. So not quite a stocking filler but definitely a great Christmas gift for a baby. The baby will have something to look forward to when coming to this world. This is absolutely an excellent baby gift. It will work great for the baby to keep it entertained as well as for the mommy to keep the baby quiet and occupied. Great for soothing the baby! Also great nursery decor. It projects beautiful moon and stars on the ceiling and you can say that it will create magic on your walls. 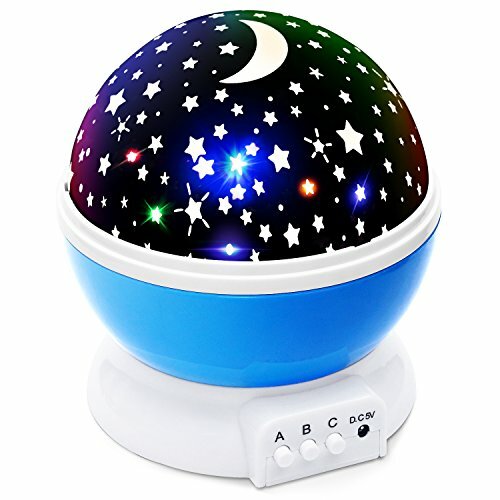 You can switch colors on it and you can use it either as a projector or a night light as it comes with a plastic white dome to mute the colors and shapes. This extremely cute blanket will melt your heart (if you are a woman). Resistance is futile against it. 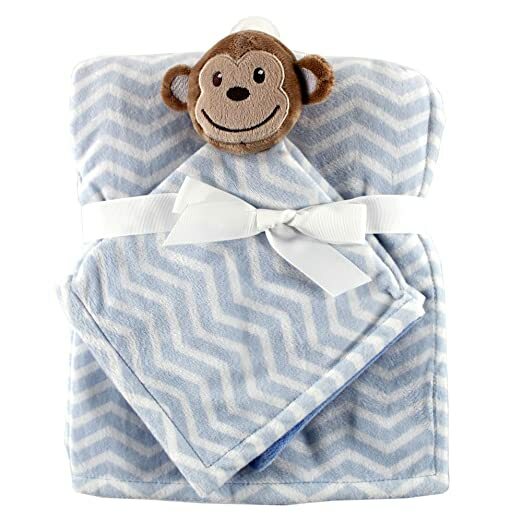 And if you check you will find out that it is a best seller baby blanket – rightfully. What you get is 2 sets of blankets: one big blanket sized 30 x 40 inches and a small blanket with stuffed animal attached to it. The animal doesn’t have to be a monkey, you can also get a pink blanket with a bunny or brown one with a frog animal. You choose according to your own preference. Customers have described it as extremely soft blanket, very cosy for a baby. The baby will love it because of the animal friend it comes with it. Super interesting for a baby. It can be used as a car seat cover, for bassinet or kangaroo cover. 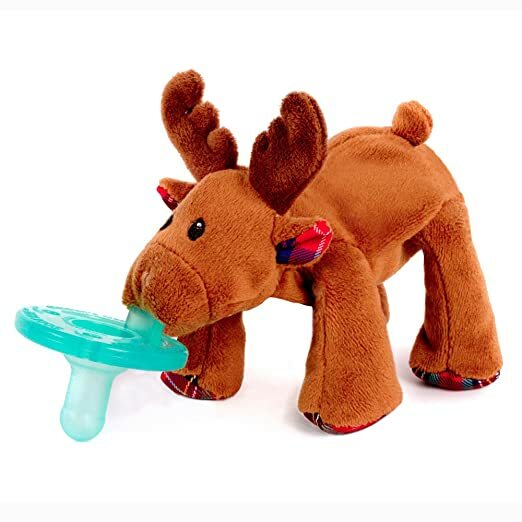 Very soft and warm, great looking, a matching toy animal – simply a perfect blanket to keep your baby warm, active with a toy and fashionable at the same time. My mom always bought me books and I even remember her sometimes arguing with my father if the book was appropriate to buy whether in regards of age or usefulness. But thanks to her I started reading very early and I have never stopped reading since. So creating a reading habit is one of the best things you can do for your child. Besides gently pushing the love for books this adorable little book will be a source of great joy both for the parent and the baby. It is because of the design of the book and don’t you just love the colours? So vibrant and cute. They will definitely catch a baby’s eye. So this book has a series of questions and little lift up flaps which cover the answer. Just imagine the laughter and the fun the baby will have exploring it. 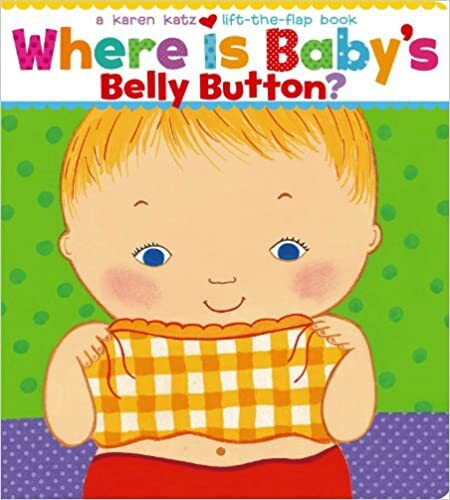 I know for sure babies like surprises like this and be prepared to repeat the pages and the flaps thousands of times. I did it with my niece on similar books! The baby will giggle and love the bright colours and have lots of fun hours with this book. It’s an instant way to make the baby smile, get it interested and active and get out of a crying mode. I truly believe you will be SO glad to have this book when the baby arrives. Your baby will need scratch mitten gloves for sure. So besides the fact that you will be getting a very practical thing they will also serve as great Christmas stocking stuffer. The ones presented here are 100% cotton made. They also come in two other designs so go ahead and check them out if you are interested. Quite inexpensive, made specially for baby’s tender hands, practical and great as Christmas gifts for an expecting baby. Baby moccasins are one of the best baby clothes that you can get for your baby. Mainly it is because they are made of 100% genuine leather and natural is always the best possible material. It will give comfort and breathability to your baby’s feet. These baby moccasins are specially designed to stay on baby’s feet and have elastic openings so you can easily put them on or off while they stay stable on the feet. 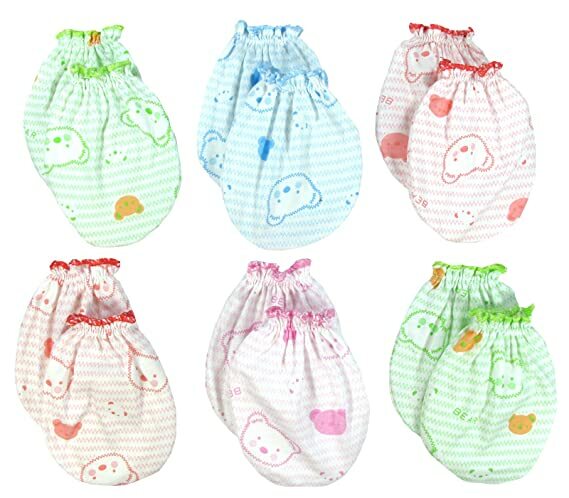 They come in small size which is suitable for a baby 0-6 months old. Available almost in every colour possible you may even want to get your baby few of them. They are perfectly comfortable and fashionable clothing for a baby. It can wear them everywhere, they look good for every occasion but most importantly the baby will feel perfectly comfortable in them. A baby will feel completely natural in them as they are made of leather. Socks are quite all right but if the weather gets cold, like in the evenings, it is best the baby’s feet to be well protected. And you won’t find a better protective material than a genuine leather. While being protective the baby moccasins are also lightweight. Simply a perfect fit for a baby. You will definitely need ones so why not get them as a Christmas gift for your expecting baby? Plus they will fit just fine in the Christmas stocking as they are not a big item. Highly recommended for an expecting baby Christmas stocking. Waiting for a baby AND Christmas definitely gets your emotions on a roller coaster. In the best way possible! You’ll be so full of love, surrounded by it inside and outside. It will feel like walking on clouds instead of the earth. So prepare yourself for one awesome Christmas. If your baby is about to be born around Christmas then it will surely need some onesies. This is one lovely Christmas baby bodysuit and I think it is perfect for this holiday and the upcoming event. There are a few other designs and you can take a look if you prefer another color (there is a very good looking red one with writing “All Mommy Wants Is A Silent Night”). It is made of soft cotton, has long sleeves to keep the baby warm and looks simply adorable with cute Christmas letters. In case your baby is due later than Christmas it is still a good idea and you can get some everyday onesies and roll them up in the Christmas stocking. Stocking Stuffers For Pregnant Wife – Click Here For The Best And Biggest List! 2 Is It Too Early For A Baby’s First Christmas Ornament?